Often times the difference between high quality furniture and less expensive, mass produced furniture resides in the details that can not be seen with the naked eye. 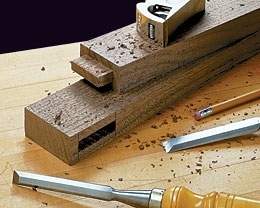 Adjacent is an example of a typical joinery technique used in our furniture. While this mortise and tenon joint is not visible from the outside, it secures the joint in a manner that will ensure the furniture remains intact for generations to come. 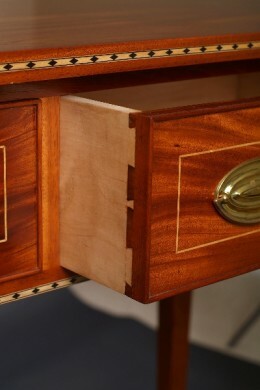 All of our drawers are constructed using interlocking dovetail joinery. 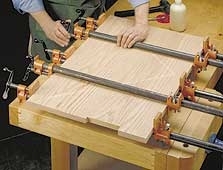 Additionally, unless we are creating pieces that have extensive dovetails, they are generally cut by hand. Pay particular attention to the uneven spacing between the dovetails as well as the marking gauge lines. These are the hallmark of hand cut dovetails. 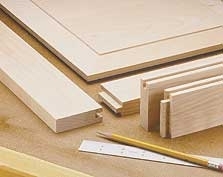 Door construction consists of mortise and tenon joinery and slots for the door panels to float in. These traditional construction techniques will ensure our furniture withstands the test of time. We prefer to use solid wood when constructing wide panels, rather than lesser grade laminated plywood.